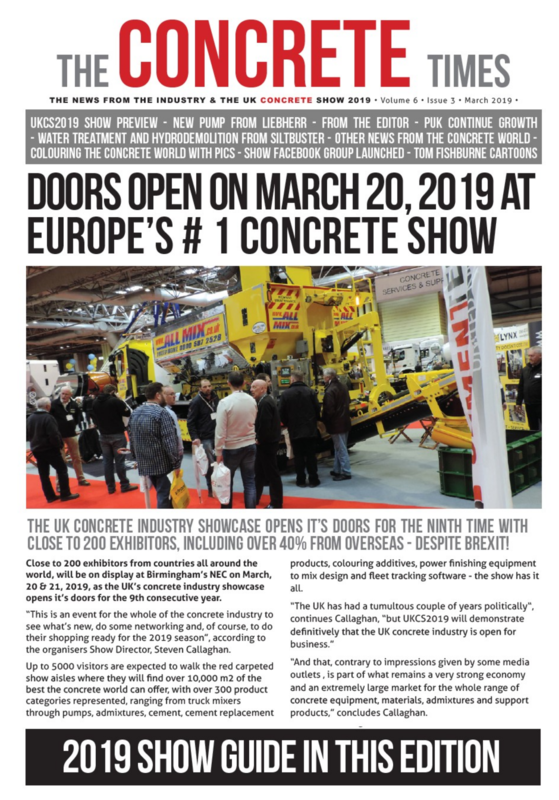 The UK Concrete Show 2019 The whole of the concrete industry under one roof! The UK CONCRETE Show, the ONLY UK event dedicated exclusively to the concrete industry, now in its NINTH year! UKCS2019 continued the success story! NEW HALLS – Halls 17 & 18 at the NEC fit the show perfectly with car parks only a short walk away and for 2020, an outdoor live demo area & vehicle display area. Get a flavour of the 2019 show by watching the show video! See you at the 2020 show! The whole of the concrete industry under one roof!